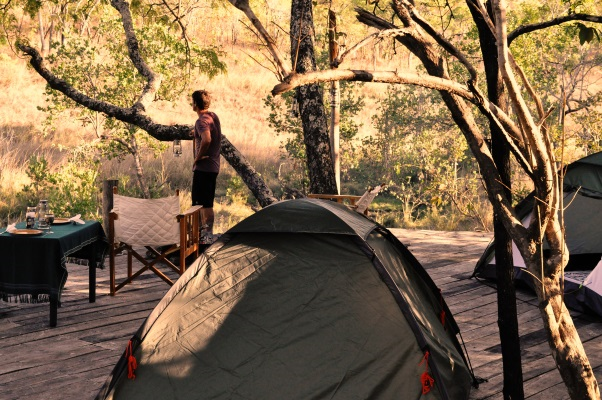 Tongole offers its guests one-night or two-night fly camping trips within the Nkhotakota reserve. Guests can sleep under the stars (and mosquito nets!) on a decked area fairly close to the lodge. A guide will stay with you during the trip and dinner and wine will be provided in keeping with the service and quality at the lodge! Read a guest’s TripAdvisor review of the one-night fly camping trip. The guest from the UK camped at one of our remote locations near a waterfall, describing it as a ‘magical experience’! The two-night fly camping adventure typically commences with a day trek to the first campsite on the banks of the Bua River. Upon arrival, the tents will be pitched, equipped with camp beds. 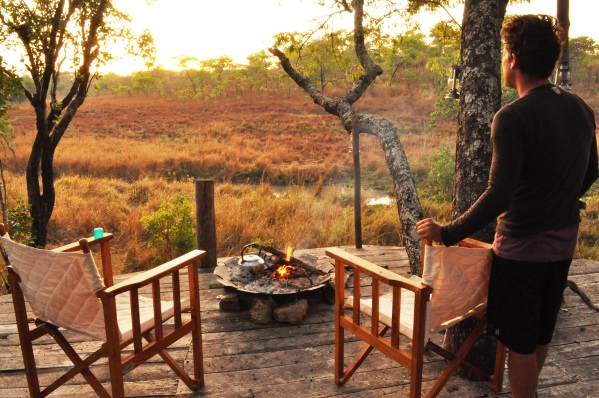 The second night is normally spent closer to the lodge on a raised decked area, where guests can sleep in the open air under mosquito nets. The fly camps are light and transportable enough to allow a comfortable journey and the ability to pitch up quickly. The large dome tents have comfortable thick sleeping roll mats and extra comforts such as hot-water-bottles are provided on colder nights. 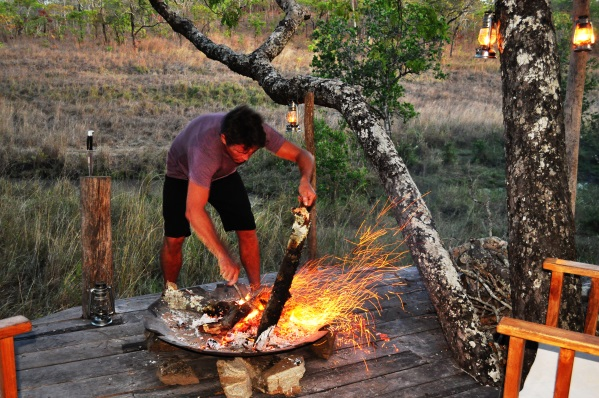 Home-cooked food, drinks and top of the range camping equipment is all provided to ensure that guests can enjoy this experience in comfort and safety. Extract from the diary of a Tongole guide.